If you're anything like me, then you have quite a lot of planning supplies. I swear some days I have stickers popping out of places I didn't even know I shoved them. So I've been making it my mission to clean up my act and organize my planning supplies in a style that works for me. My best system so far includes a variety of different storage solutions rolled into one. For washi tape I've found nothing better than using an acrylic sunglasses case. 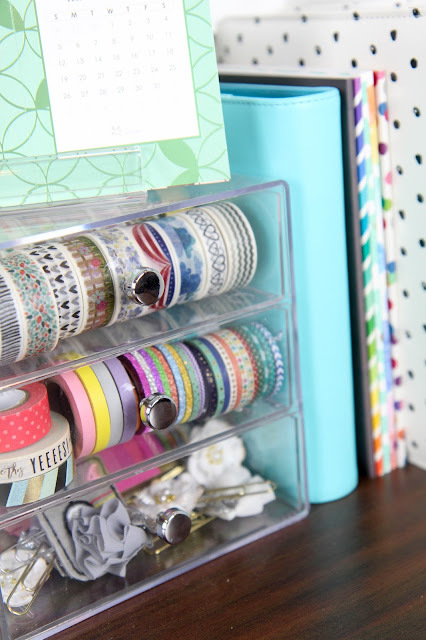 There are dividers in each drawer that are the perfect width to hold rolls of washi tape up so you can see your entire selection. 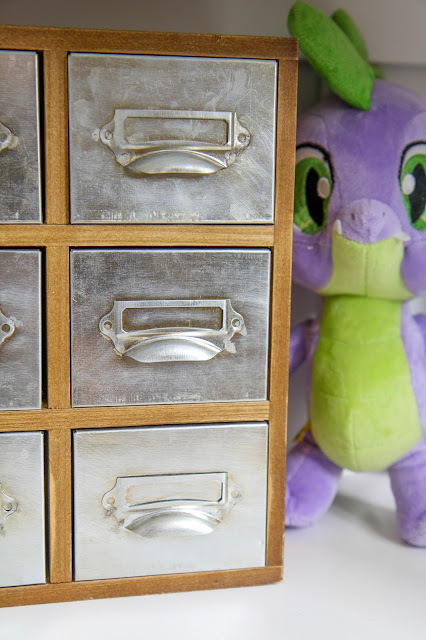 I also use this drawer to hold paper clips and magnetic bookmarks. The little sections in the drawers work great to separate different, smaller supplies. The easiest way to store your supplies it to get a drawer unit like one of the famous IKEA Alex drawers. I have two units in my filming office that hold the majority of my supplies. I recently posted a video walking through my stationery organization in one of them if you're curious. 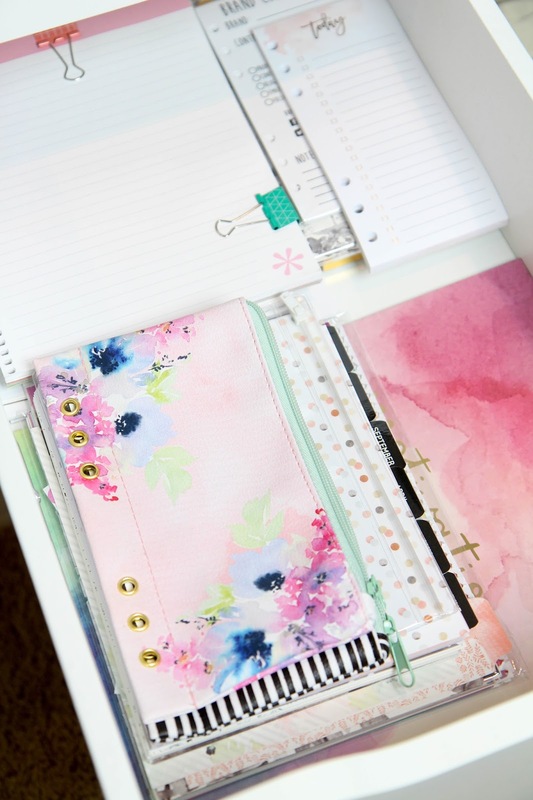 It's by far the easiest solution if you have piles of things laying around that you just want to get out of sight and in some sort of organization. Separate each drawer into categories and gather like items together. The thing is, you can make any storage you have work for you if you're creative. I have this small apothecary looking drawer unit that would be great to store sticky notes, washi tape, planner clips, and other, smaller supplies in each drawer. Instead of buying new storage solutions, look at what you may have that isn't in use and try to figure out how to re-purpose it. 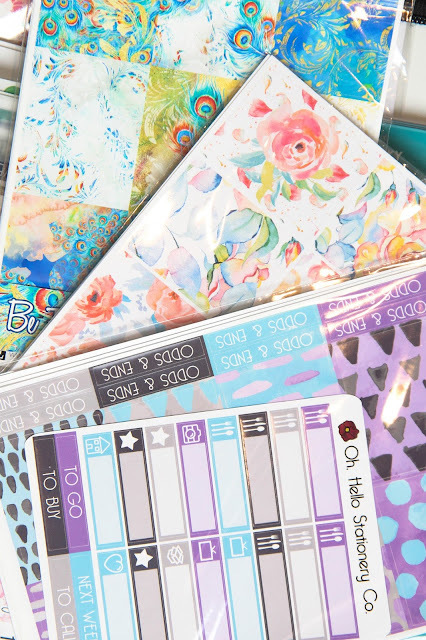 One storage solution that's absolutely free is to use the clear packaging that your sticker orders come in to store weekly sticker kits. Rather than throwing them all away, divide out your coordinating stickers, put them each in a clear bag, and keep them all in a neat stack in your sticker storage. That way you won't lose any pieces to a weekly kit and will have it all together for when you're ready to use it. What simple ways do you use to store your planning supplies?